vnStat is a console-based utility which monitor network traffic ( transmit and received ) on selected network interface and stored it. This article will help you to install and setup vnStat on your server and setup web-based graph using vnstat-php application. vnstat packages are available under default repositories. Use the following command to install it. 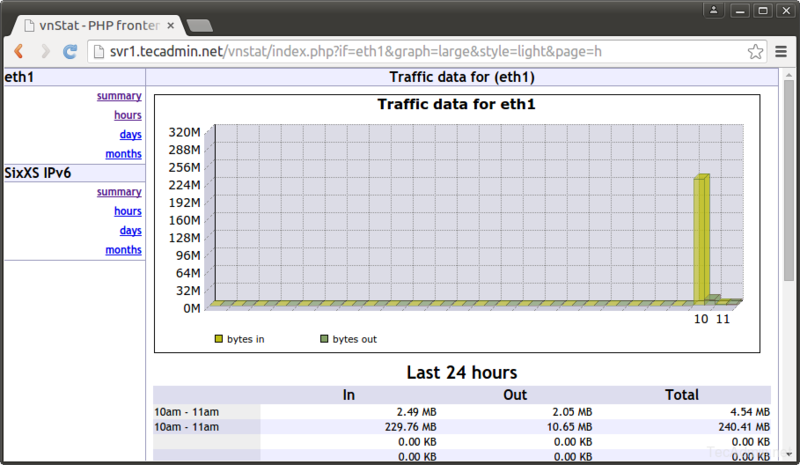 "eth1" added, 100 Mbit bandwidth limit. -> 2 interfaces added. Limits can be modified using the configuration file. After successful installation edit vnstat configuration file ( /etc/vnstat.conf ) and update Interface option as per network interface you want to monitor by vnstat. In my case I am monitoring eth1 interface. 4. Setup vnStat Web Interface. 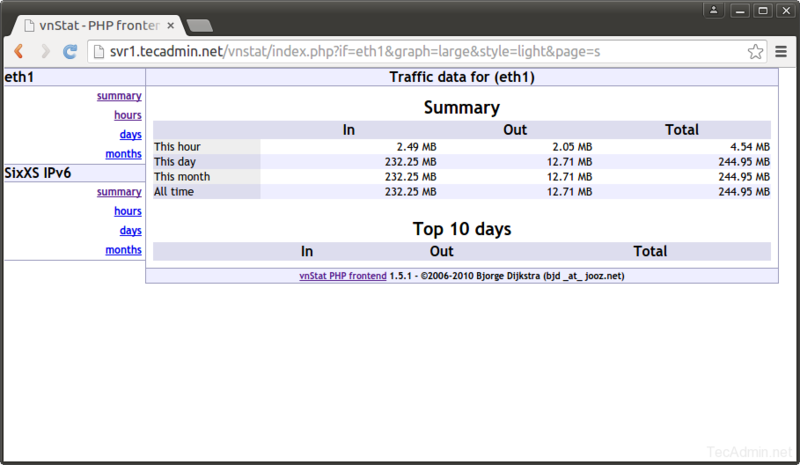 vnStat also provides php based web interface to show graphical statistics. In order to set up vnStat web interface, it required to have Apache, php and php-gd packages on your system. Now download vnStat php source code from its official web-page or use following command. Now edit vnstat-php configuration file config.php file and set the following parameters as per your requirements.